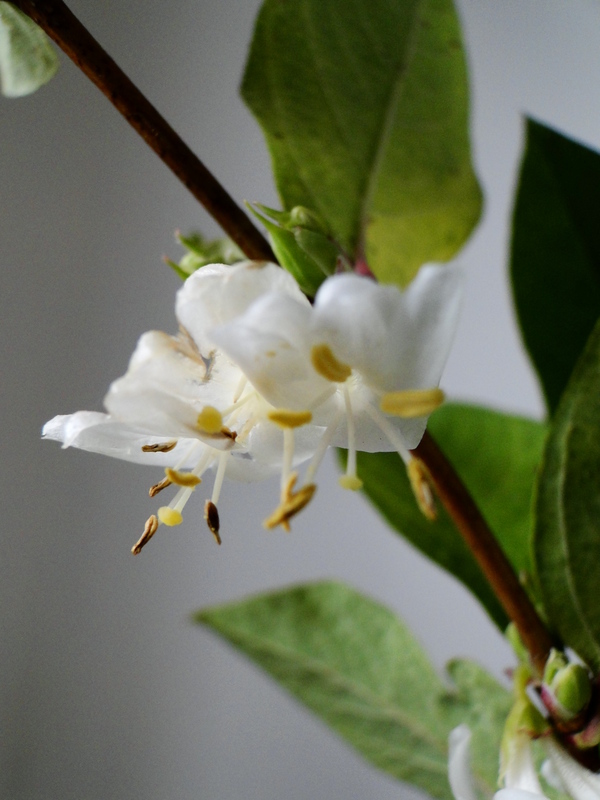 It’s a hard task to pick a favourite plant from my garden at the moment, as the recent warm weather has encouraged so many to bloom but a close encounter with this plant the other day made my choice a bit easier. It was one of those lovely warm and still, if slightly humid, days last week when perfume hangs in the air. The fact that I noticed the incredible scent of my Viola cornuta did have something to do with the fact that I was on my hands and knees weeding, at the time. Viola cornuta, or the horned violet, may be related to the masses of pansies and violas sold as bedding plants across the country but there is a delicacy and a simplicity about this plant that it’s highly bred cousins often lack. It forms clumps of mid green foliage along the edges of my brick paths and from late spring right through to autumn will consistently flower. 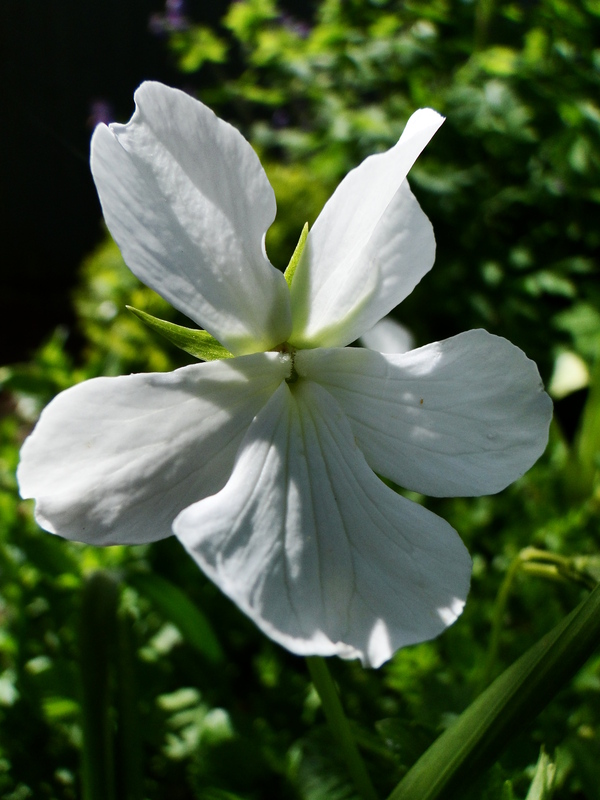 I have both the lilac and white flowering types which have the distinctive viola flat-faced blooms with five petals. 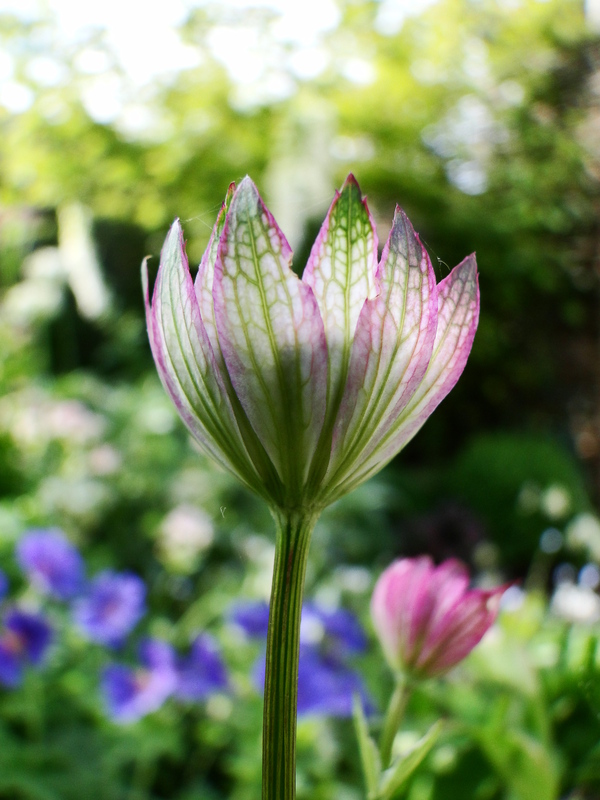 The plants grow to no more than 15cm tall so make perfect specimens for the front of a border and like full sun although they can cope with light shade. The flowers are held above the foliage on stems creating a pretty, hazy appearance. Viola cornuta is easy to grow, some might say too easy, spreading by its roots and by seed. For me, this is a trait I’ve embraced as it softens the edges of my borders and pops up of its own accord around my garden. 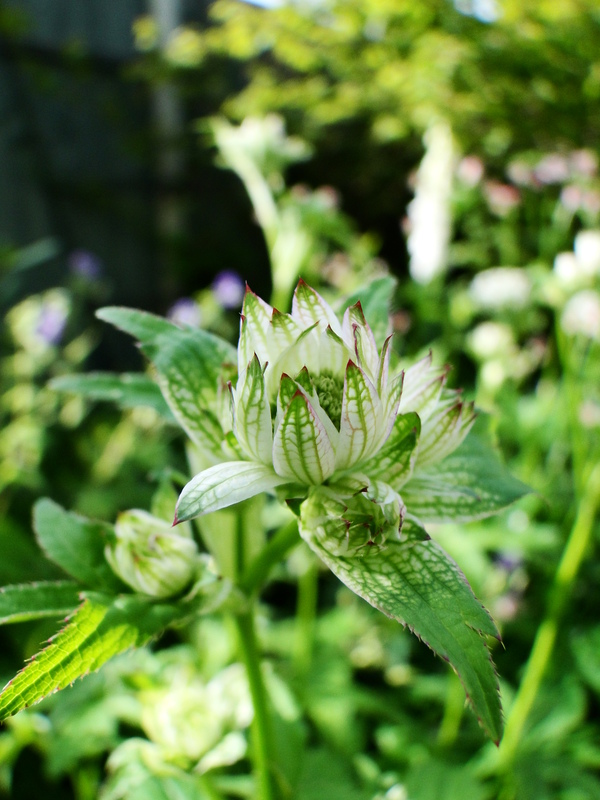 It seems equally happy growing in the damp, rich soil of my shady border or eking out an existence in the gravel around the base of my raised beds. 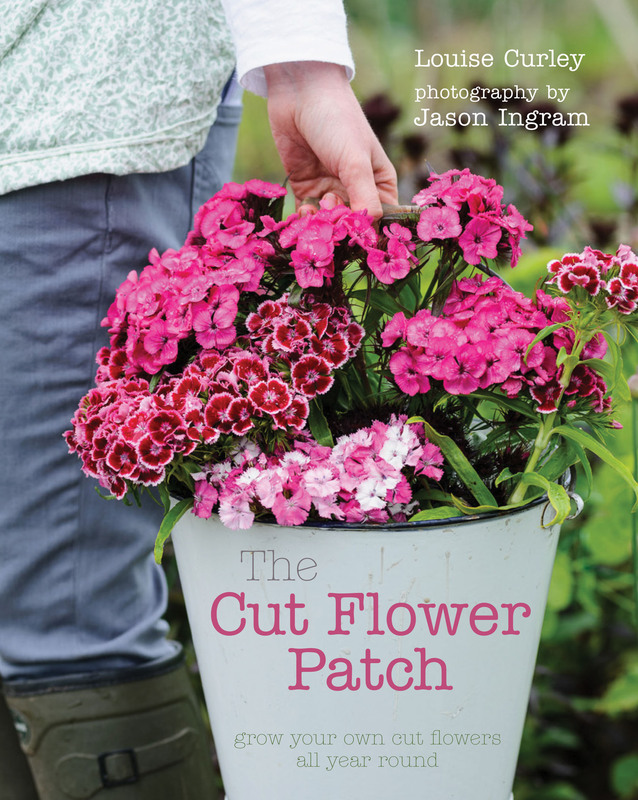 By mid July the plants can start to look quite straggly but, like geraniums, if you cut it back hard it will regrow within a few weeks and reward you with more flowers into the autumn. The perfume from these little flowers is beautiful, a scent reminiscent of our native wildflower, Viola odorata, if there were any left in the countryside for me to get a whiff of. (I’m sure there are some, somewhere, but I have yet to discover them). 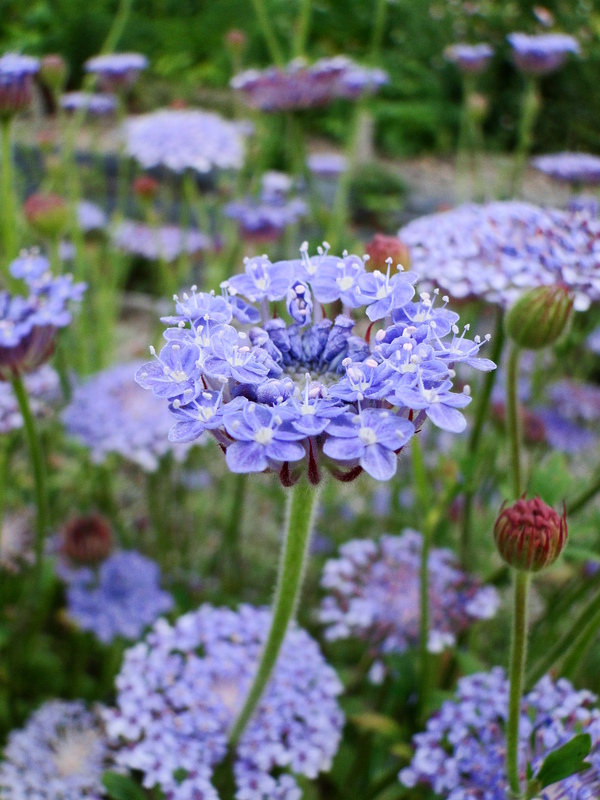 With large enough clumps of it you don’t need to be crawling around on the ground to experience the aroma and it would make a lovely plant for a warm, sunny courtyard or patio. The white form, Viola cornuta ‘Alba’ is my favourite of the two with its bright, pure white flowers lighting up a dark, shady corner of my garden. It blends well with woodland style plants. I have it growing next to Pulmonaria ‘Sissinghurst White’, so that when it starts to look quite tired by mid April, the Viola then takes over. At night, the flowers almost glow in the dark, another reason to plant them near a patio. 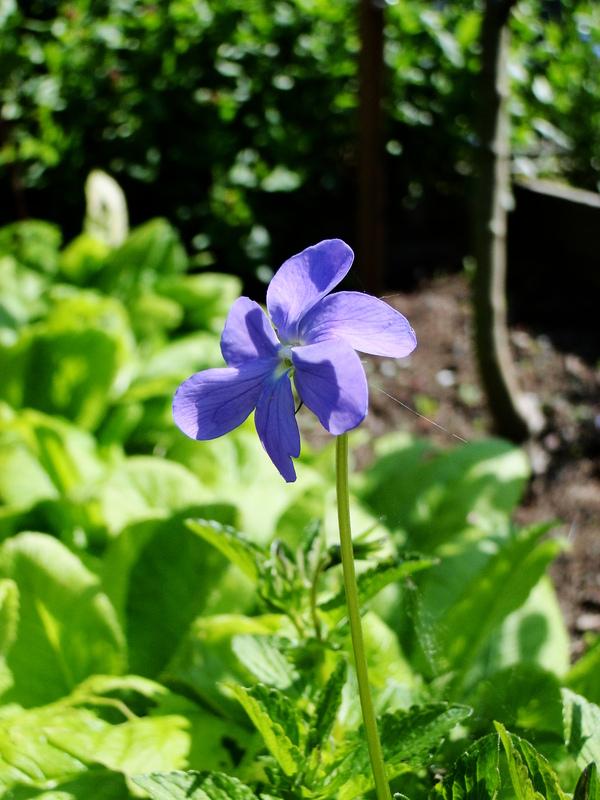 It’s possible to buy the seed but I would recommend buying as a plant and don’t buy too many, one or two would be sufficient to get you started and it won’t be long before Viola cornuta is happily making itself at home in your garden. Spring really is the time for bulbs to fill the garden with colour from the early snowdrops and narcissi through to tulips and alliums, we rely on them to kick start the garden into life. 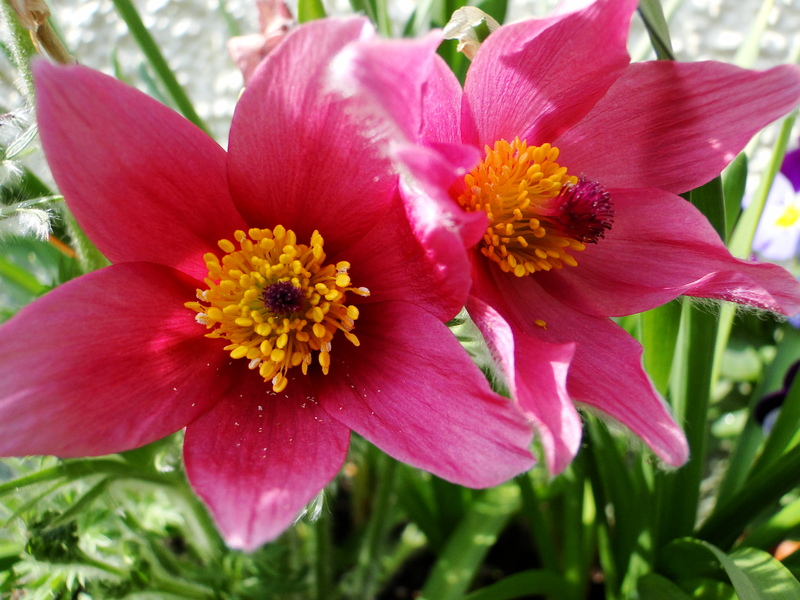 There are however, other plants that shine at this time of year and one of my favourites is Pulsatilla vulgaris ‘Rubra’. 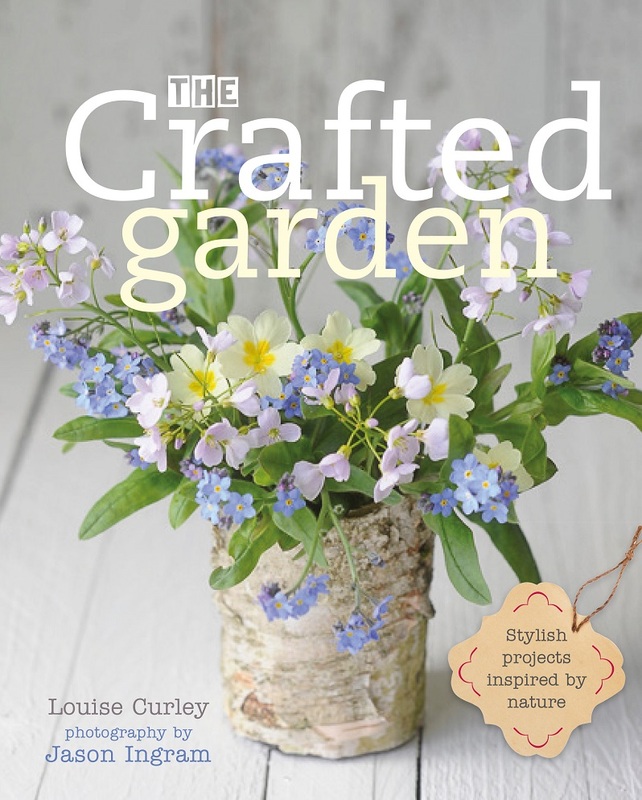 I grow mine in a terracotta bowl shaped pot by my front door and for weeks now I have seen stalks gradually sprout from the crown and flower buds start to swell. The anticipation rises because I know what a beautiful flower it is once open. 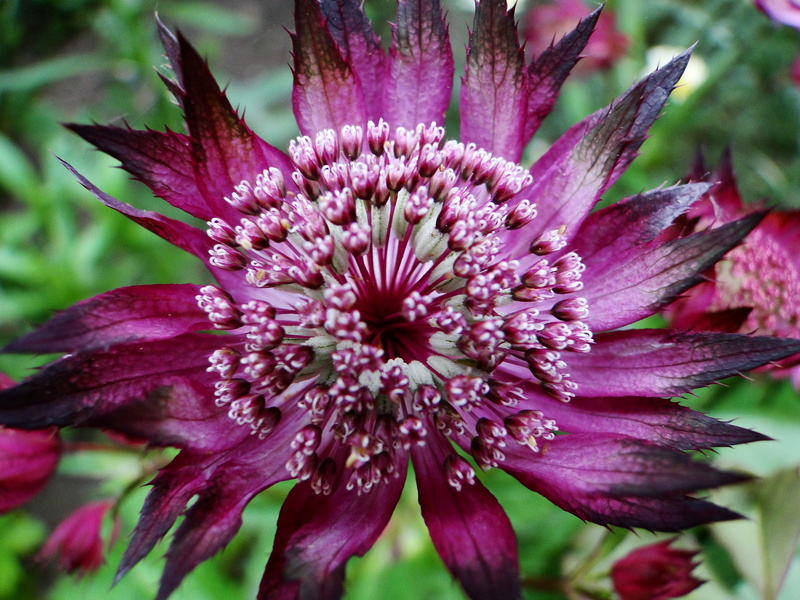 Finally, at the weekend, this warm sunshine coaxed the flowers to open displaying rich velvety red petals and a bright yellow centre. The foliage is mid green in colour and delicately dissected, with the flowers and stems, in particular, covered in soft downy hairs. The main variety has purplish coloured petals but it’s possible to get a white form, ‘Alba’ and a red shade, ‘Rubra’ which is the one I have. In the garden Pulsatillas like lots of sun and well drained soil and make perfect plants for alpine gardens and containers. Once planted they don’t like being disturbed but are fairly undemanding plants otherwise. The best way to propagate them is to sow the seed in the green. I haven’t tried this yet but plan to this year. 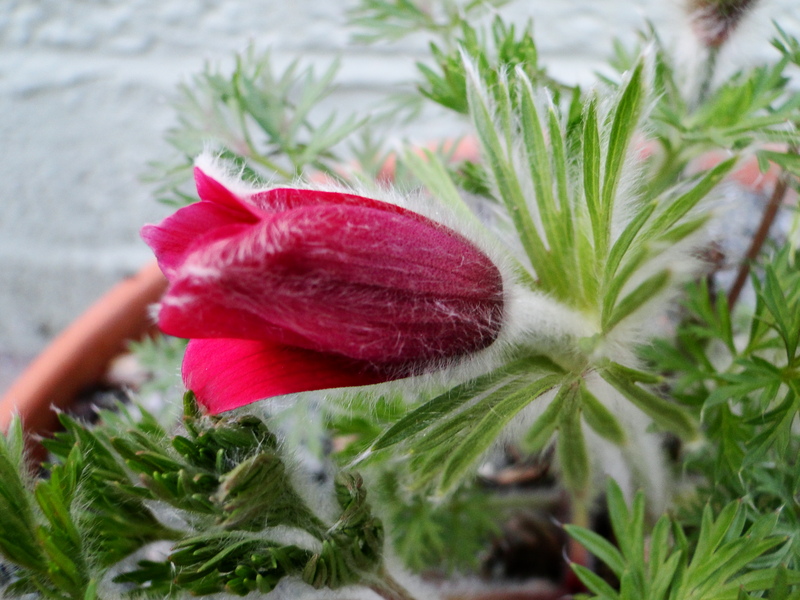 Also known as the Pasque Flower because it flowers around the time of Easter it surprised me to discover that they are native wildflowers, albeit scarce, here in Britain. It had been recorded at over 120 sites but can now be found at only 19 and of these 19 it is only found in good numbers at 5 sites. In the wild it grows in dry, chalk or limestone grassland found in the Cotswolds, East Anglia, the Chilterns, Lincolnshire and West Yorkshire. It is recognised as a ‘Priority Species’ under the UK’s Biodiversity Plan and organisations such as Natural England are working with landowners to protect their habitats. It’s main threat is from reduced grazing by sheep of grassland, stronger plants takeover and the Pasque Flower can’t compete. Pulsatilla is the county flower of Cambridgeshire and Hertfordshire which might indicate how much more common it used to be. One of the best places to see them in the wild is Gloucestershire Wildlife Trust’s Barnsley Warren Reserve. A site of Special Scientific Interest, Pasque Flowers are found here, which is the western limit of this species’ range in Europe. Legend has it that the plants grow on the graves of Viking warriors, with the flowers springing form their blood. 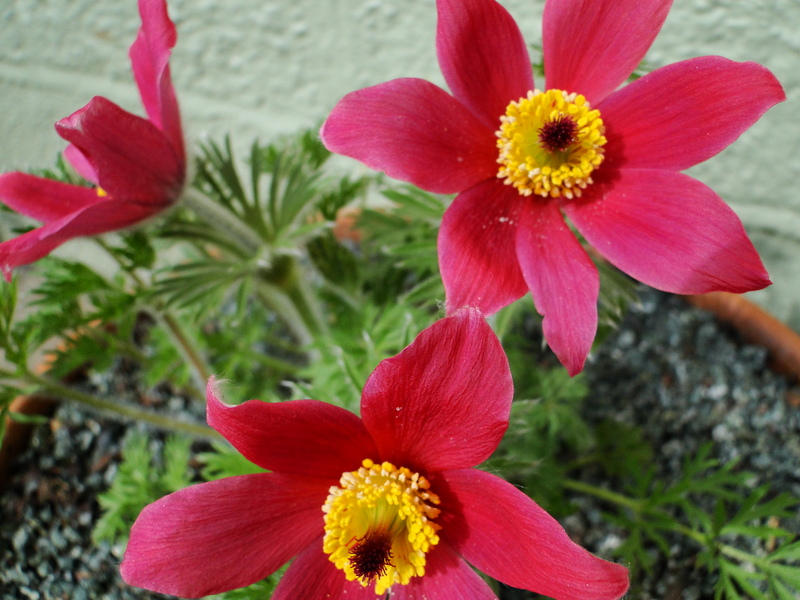 They are found on earth works and mounds but this has more to do with this ground being difficult to plough and therefore the soil has remained undisturbed providing the perfect conditions for Pulsatilla vulgaris to grow. It’s sad that such a beautiful native wildflower is struggling to survive. 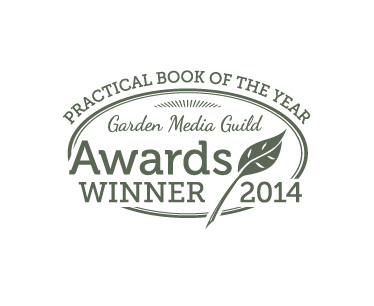 I posted last autumn about Plantlife’s Wildflower Count Survey that we did last April. It’s not too late to sign up for this year’s survey. We have just had our form through the post and will hopefully get a chance to get out over the Easter weekend. Anyone can join, you don’t have to live in the countryside, you could survey the hedgerow on the way to the allotment. It’s a great way to collect data so that more can be learnt about our native plants and how we can go about protecting them. For more information about seeing Pasque flowers in the wild visit Escape to the Cotswolds, Hertfordshire Wildlife Trust and Natural England. 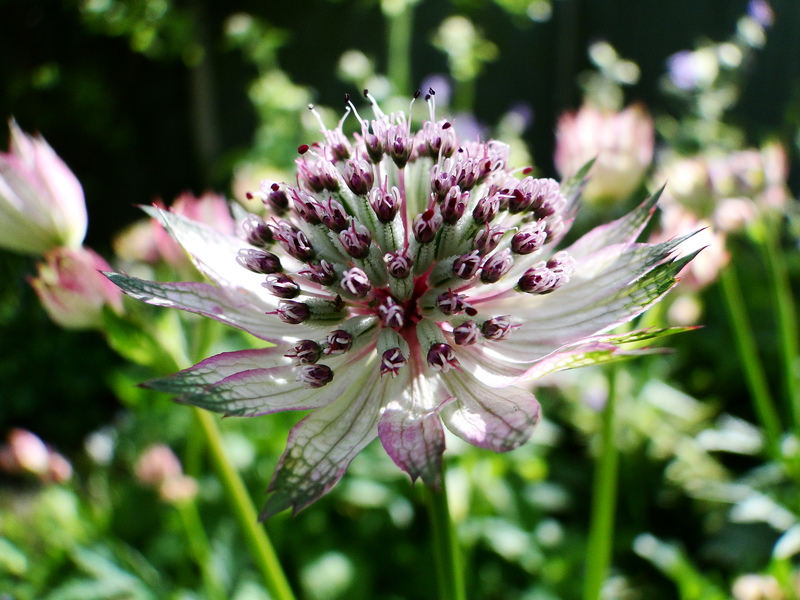 To take part in the Wildflower Count Survey visit Plantlife. This is the first year I have grown this Half Hardy Annual otherwise known as Trachymene and I’ve loved it. I sowed the seeds in mid March in seed trays and put them on my kitchen window sill. They took over 3 weeks to start to germinate and were quite erratic, with some taking another 10 days to appear. I don’t have a heated propagator so maybe they would have benefited from some extra heat. They still made good sized plants for planting out at the end of May. They make excellent cutflowers and I picked my first in the last week of July and I am still picking them now. They last 7 -10 days in the vase. I have grown the blue variety which is a beautiful lavender colour using it with Nigellas and blue Cornflowers and white Antirrhinums and now with Asters, Zinnias and Cosmos. The plants make quite a straggly, sprawling clump, so I’m not sure whether they would work in a border. You would probably need to grow other plants through them, maybe Gypsophila or Orlaya. Mine have been grown in a block on my cutting patch at my allotment. A bonus is that they have been pest free and are loved by hoverflies. Seeds are available from Special Plants. This is my plant of the moment. 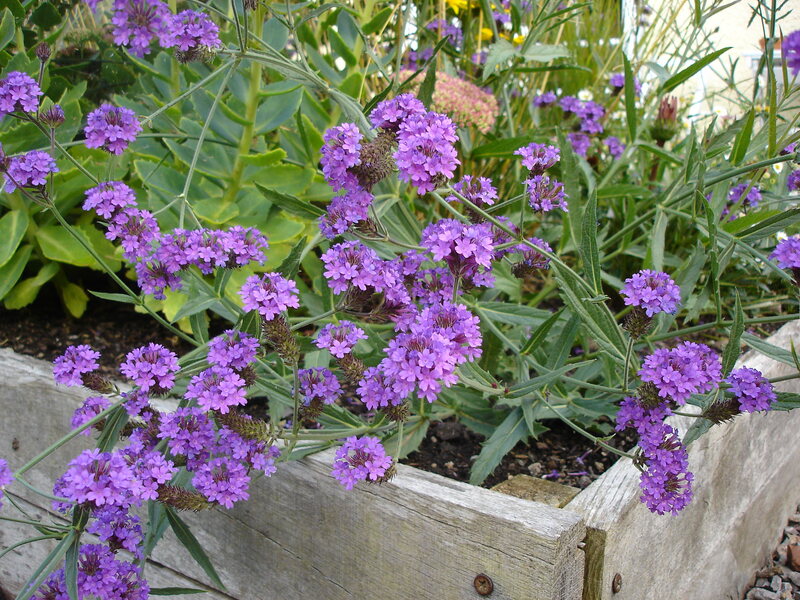 Verbena rigida is a smaller version of Verbena bonariensis and it has been a brilliant addition to the garden this summer. It is half hardy. I sowed the seed in April and potted on the plants keeping them under cover until mid May when I planted them out into the garden. They were quite slow to get going but we have had a cool summer. They started flowering in July and are still going strong. They are quite sprawling plants. I’ve used them at the front of my raised beds and I’ve liked the way they have tumbled over the edges. 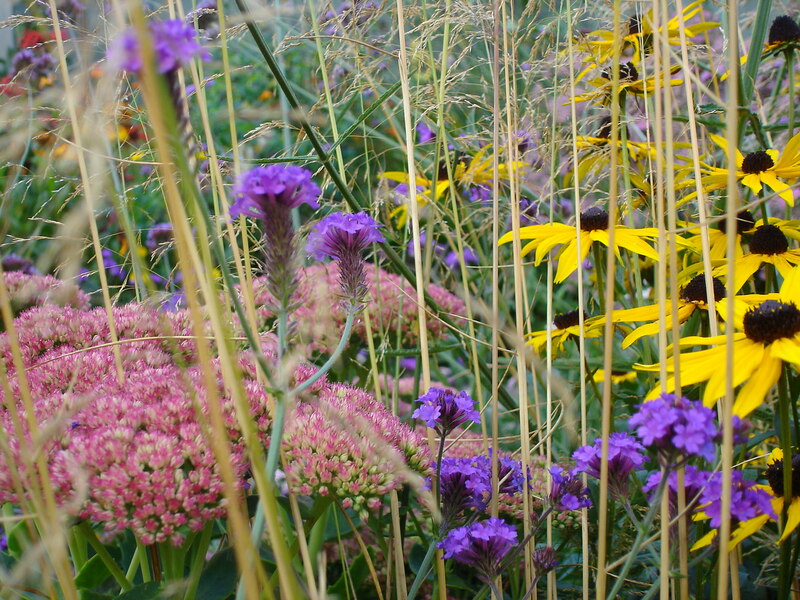 The plants have worked well mixed with Sedums, Rudbeckias and the grass Deschampsia cespitosa ‘Goldtau’. I bought my seed from Sarah Raven.